I know it's only March, but it's never too early to get a head start on making Christmas cards, I can't even say that with a straight face...I am always the last one to get cards sent out...I am vowing that this year will be different...so I started early. 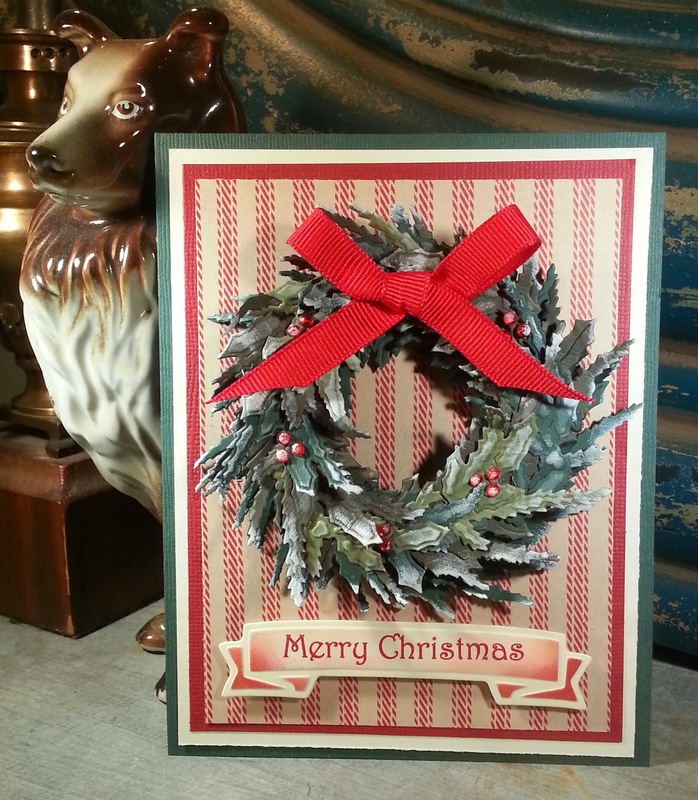 This card turned out so nicely that I wanted to share a couple tips and tricks that will let you create a beautiful, dimensional Christmas card with Spellbinders Build a Wreath die template. Layer 4 pieces of coordinating cardstock (Christmas colors). I used 3 solids and 1 patterned paper. For a variation, you could create this card in light blue, white and silver. 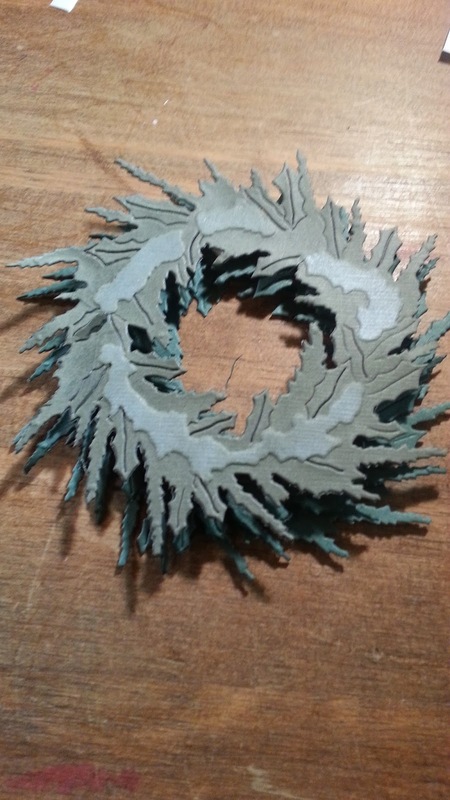 Use the die template to cut 3 layers for the wreath. 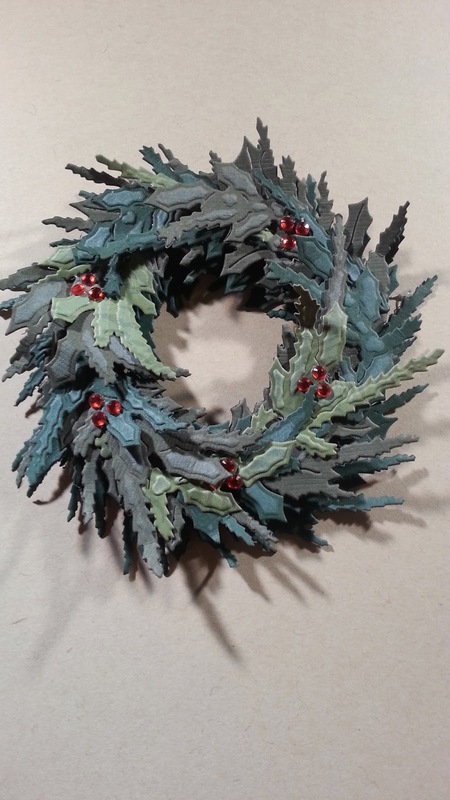 Tip: for a more realistic wreath, use 3 different shades of green. 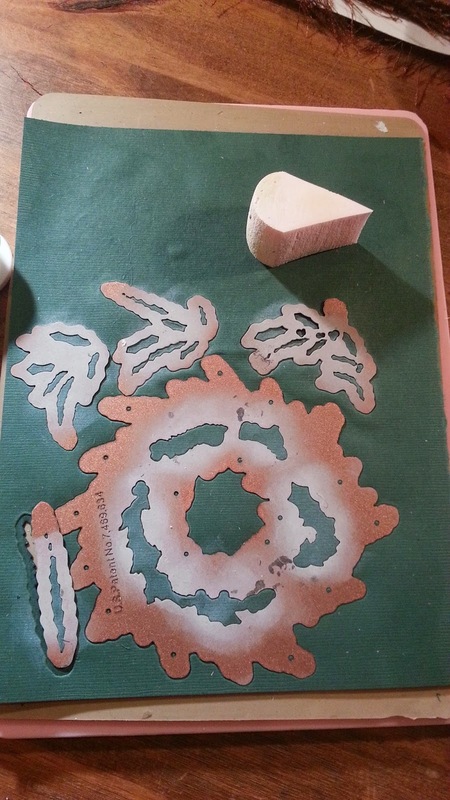 Lightly stencil all the die cut pieces with white ink (to mimic snow or frost). Assemble the 3 die cut layers together with foam squares...this adds dimension between the layers. 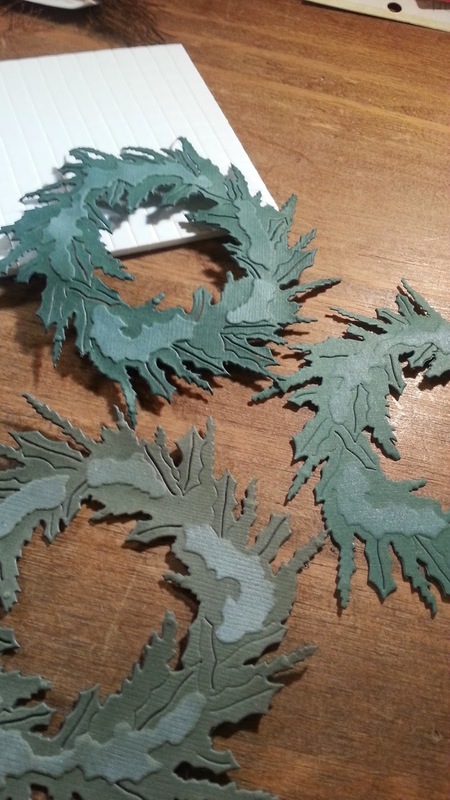 Next, build your wreath by layering all the die cut branches that are included in the set. 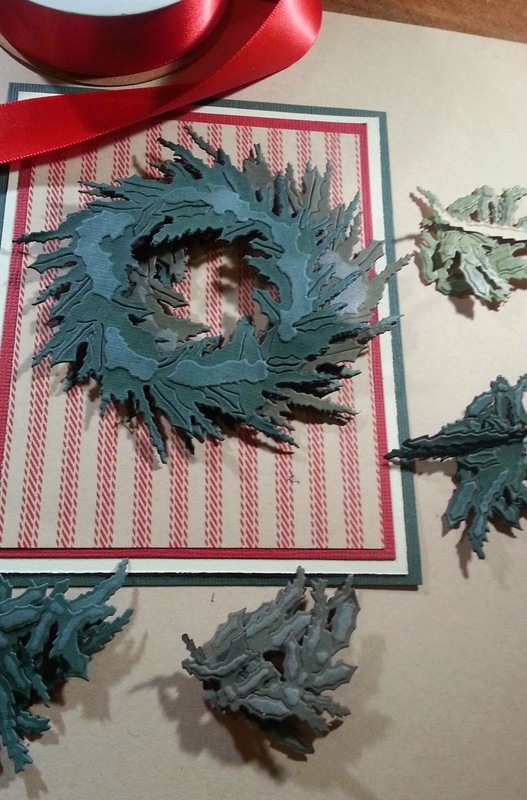 Layer the pieces on top of the wreath using tape roller to affix them to the wreath. Next, affix small clusters of small gem stones or beads to create "holly berries." 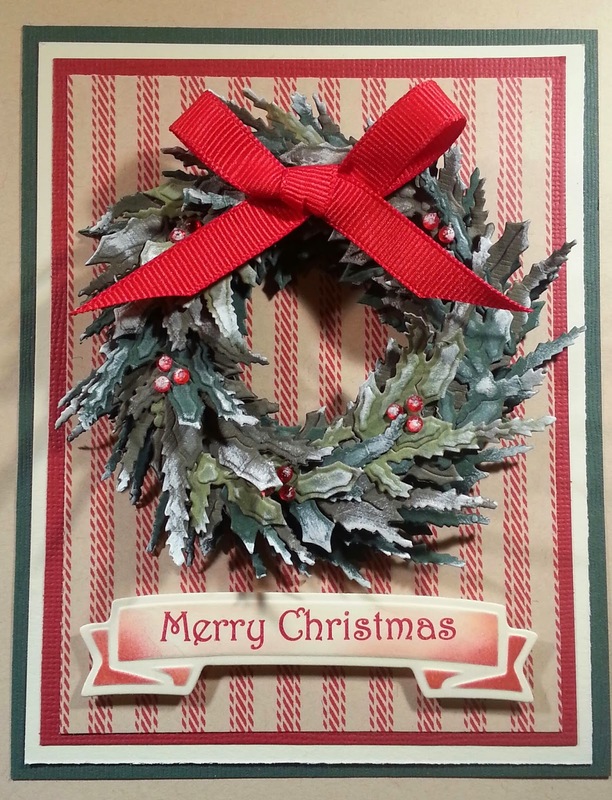 Then, use foam dots to place the wreath on your card base, then finish with a small red bow and a stamped Christmas greeting. After, I'd finished the card, I "dusted" it with some additional white ink on the edges of the branches and holly leaves. This is a fun card to make because it's dimensional, and your friends will love getting this card...it's pretty enough to use as a Christmas decoration. 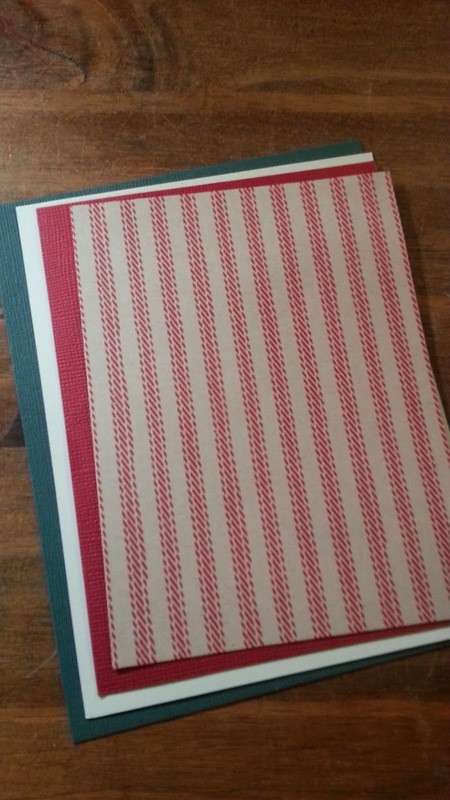 Now, will I find the motivation to create more Christmas cards between now and December? It's doubtful...It's spring outside...I'd rather be outside enjoying the daffodils and dogwoods...When do you usually get started on your Christmas cards? I should develop a plan this year to keep me on track. Thanks for stopping by today! I hope you've picked up a couple tricks that you can use when you create your Christmas cards. Wonderful, I just love the snowy feel to the card and all that great dimension, perfect papers for the background too! Really love the great dimension . Love the white wash on the wreath... it almost gives it a realistic look .. great card and a big thank you for sharing your amazing creativity! !!! You sold me. Literally just added it to the must have list. Great Beth, You will love this die. Great traditional Christmas colours and loving the touch of white. Thank you Erika...that's a compliment because your wallpaper is awesome. Hi Ken. I just found your blog. I'm so excited. I miss Try It Tuesday and hope they will bring it back. Like always, your card is wonderful. Thanks for sharing your talent with us. 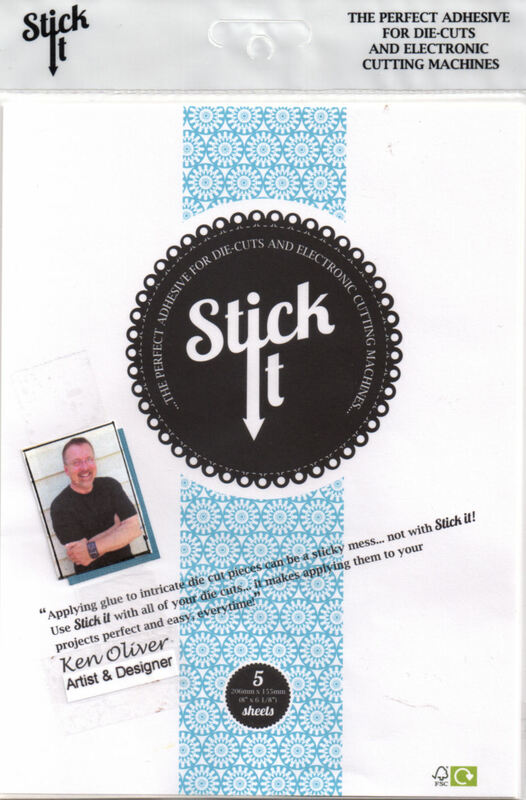 Hi Ken, First time to your blog. Your card is great .. Thanks for sharing your talent . always wait too late to start them. It really takes the fun out of making them. Love this! It's never too early to start crafting for Christmas! I usually wait too long and then never get everything finished in time. I am here to see you tonight because you were a 'guest' on Live With Prima - where we found out that you were joining the Prima team... Cari gave us your blog details - and I'm so glad she did... This card is awesome!!!! I had seen this die lots of times before - but never seen a card as dimentional or as nice as this one. Seriously - it looks like you've spent hours on it. I suppose if you put two of the bases back to back with a ribbon in between, you could create a decoration - then add dimention to each side. How fab would that look. Hope you do find more time to craft some Christmas cards as I'll be joining you if so. I am NEVER on time and always live on a wing and a prayer to finish for last posting day - I tell you - I cut it REALLY fine!!! lol. So happy to hear you've joined the Prima team - hopefully we'll see you on LWP some time in the near future! Paula x x x (From over the pond)!! Awesome card. Like Paula's Idea. May try it. THESE ARE BEAUTIFUL!!! CAN THEY BE ORDERED FOR A COMPANY CHRISTMAS PARTY INVITATION? I WOULD NEED ABOUT 100. PLEASE LET ME KNOW.